Our principal aim is to develop, produce, finance and sell independent movies and television films & series. Alongside the parent company we also have GFM Animation and GFM Evolution. Founded in March 2011 by Guy Collins, Fred Hedman and Michael Ryan, the company takes film & television projects from development through to completion and delivery to distributors. Collins and Ryan have between them financed, sold and produced over 250 films, including ‘The Wild Geese’, ‘The English Patient’, ‘The General’, ‘What’s Eating Gilbert Grape’, ‘The Osterman Weekend’, the ‘Highlander’ series, ‘Planet 51’ and with Hedman, Toei Animation’s ‘Harlock: Space Pirate’, ‘Absolutely Anything’ (starring Simon Pegg), high octane action thrillers ‘Stratton’ (starring Dominic Cooper) and ‘All The Devil’s Men’ (starring Milo Gibson, Sylvia Hoeks & William Fichtner) and animated titles ‘Duck Duck Goose’ (featuring the voices of Zendaya, Jim Gaffigan & Stephen Fry) and ‘Here Comes The Grump’ (featuring the voices of Lily Collins, Toby Kebbell and Ian McShane). We continue to expand our slate across the three companies, covering both animated and live action feature films. Michael currently has a dual role; the first as Partner here at GFM Films and the other as Chairman of IFTA (Independent Film & Television Alliance) where he is serving an unprecedented fourth term. After many years of working parallel to one another, Michael and Guy partnered in 2000 and together have financed, sold and produced over 250 films including The Wild Geese, The English Patient, The General, What’s Eating Gilbert Grape, The Osterman Weekend, the Highlander series and Planet 51. Michael is a keen singer with an amazing voice and can often be seen at industry events fronting the popular band ‘The Indies’. Over the last 15 years, Hedman has accumulated a wealth of experience in the film industry, selling films in all territories across a range of genre & budgets. He began his career as a sales associate at IAC/Sequence Films in 2003 and when IAC/Sequence was acquired by HandMade plc in 2006 he continued as VP of International Sales before being promoted to Head of Sales in 2008. In 2010, Hedman formed GFM Films LLP with Guy Collins and Michael Ryan. 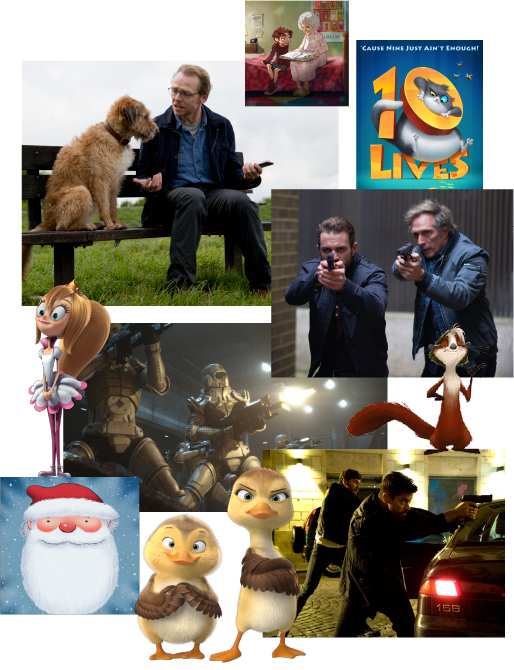 Since the launch of GFM Films, Hedman has served as Executive Producer on several films including the animated hit ‘Duck Duck Goose’, high octane actioner ‘Stratton’ directed by Simon West and ‘Absolutely Anything’ starring Simon Pegg and Kate Beckinsale. Throughout this time, Hedman maintains good relationships across the international industry with producers, financiers, distributors and has travelled extensively with all jobs attending all major film and television markets and festivals. Guy joined the film industry in 1976, raising production funding for ‘The Wild Geese’ starring Richard Harris, Richard Burton and Roger Moore. From here Guy raised finance for numerous high-profile independent films, introducing international banks to structured film financing. In 1988 the opportunity arose to finance a sequel to the highly successful feature film ‘Highlander’. This led to a 20 year involvement in the financing & distribution of four Highlander movie sequels and a TV series which ran for 7 years. The aggregate budgets totalled circa $225m and helped to forge one of the most successful independent film franchises. From here Guy extended his business activity to include distribution marketing & sales on all films where he undertook production financing. 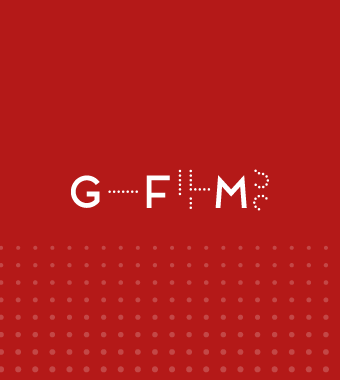 Guy formed GFM Films with partners Michael Ryan and Fred Hedman in 2011. His day-to-day responsibilities include the management of the company and overseeing GFM’s corporate and production financing activities. Guy is a keen watcher of sports – cricket, rugby, football, athletics – and lifelong supporter of Chelsea FC. Sean joined GFM to develop and expand the slate of 2D and CG animated movies under the GFM Animation banner. GFM Animation now have some 10 animated films on the slate, with more to come. We not only help finance, pre-sell and distribute films – but also help in setting budgets, tweaking scripts and artwork for sales and production, sourcing studios, overseeing schedules and key milestones. Sean started in the industry as a runner at The Moving Picture Company, London, making tea at the dawn of VFX, so is well placed to lead the animation charge. He is also married with 3 children and for fun manages one of the youth teams at Ealing Trailfinders Rugby Club – one of the UK’s top rugby clubs - so has a full schedule ahead! Amanda heads up all marketing activities across the GFM Films, GFM Animation and GFM Evolution slates. Working on each film from script stage, through production and all the way through to release, Amanda is our point person for ensuring the GFM team and producers have everything they need to market, sell & release each title. Outside of work, Amanda can be found renovating her new home in the countryside along with her husband, 7 year old daughter and Labrador/Cocker Spaniel cross Baxter. After graduating with a BA Hons degree in Audiovisual Communication, Claudia started her career in film at Paramotion Films whilst at the same time acting as Press Office for Spain’s 3d Wire International Market of Animation, Video Games and New Media. Shortly after she moved to the UK to study for an MA on Film Distribution & Marketing at Birmingham University. After a time interning at Day For Night and Digital Cinema Media she joined the GFM team in September 2015. Anthony has accumulated a wealth of experience over the last 22 years selling feature films in all territories across a range of genre and budgets including Hollywood blockbusters, award winning indie dramas and family animations. Titles he has been responsible for selling include The Passion of the Christ, Apocalypto, How I Spent My Summer Vacation, Coriolanus, The Tempest and Top Cat Begins. He has Executive Producer credits for Coriolanus and The Tempest, and an Associate Producer credit for Hurricane. Here at GFM, Anthony is responsible for leading the GFM Sales Team, working across the GFM Films, GFM Animation and GFM Evolution slates. Yi was born and raised in Hangzhou, China. She previously worked for a TV production and marketing agency there. Before joining the GFM team, she studied MA Filmmaking at Goldsmiths, University of London and interned for Wes Anderson’s recent Stop Motion film - Isle of Dogs, where she also contributed in making origami. Fun Fact: Yi has the shortest name in the world! Saiqa graduated in Pre-Medical Science but found her interest in finance whilst managing her family’s business accounts. Having achieved her ACCA qualification whilst interning at an accountancy firm, she worked in the travel & hospitality sector before joining GFM Films in May 2015, a change that she found both different & exciting. Saiqa is now Head of Finance at GFM Films and loves to tackle new challenges! Outside of work she spends her time with her two young children, ‘trying’ to cook different cuisines, watching movies, swimming, bowling, sewing…juggling…what all mums do really! Prarthana graduated with a degree in Accounting and Finance, and is working as an Accounts Assistant at GFM Films. She is currently studying towards her ACCA qualifications. Prarthana enjoys dancing in her spare time and loves tennis.